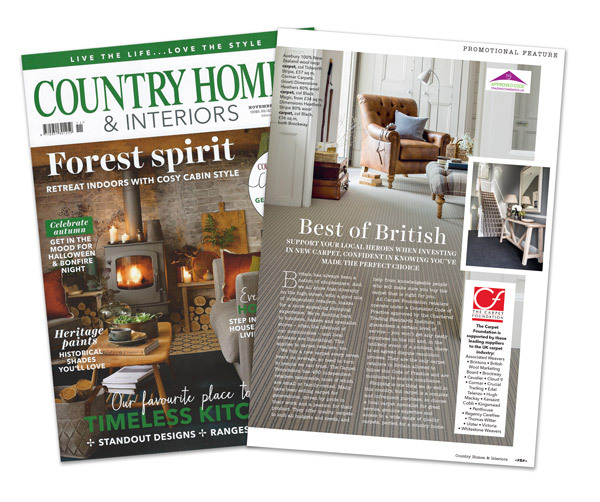 The current issue, on sale now, of Country Homes & Interiors, has a one-page advertorial all about buying from Carpet Foundation retailers – the local experts when it comes to carpet. The magazine is read by 200,000 consumers so we are getting the message out there that our members are the best! It also lists all our Patron Members. We are putting our money where our mouth is!